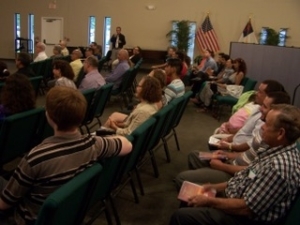 1) Their Hispanic group meets in a small church facility owned by an American (English-speaking) church. This past year, the Hispanic group remodeled a mobile home that is also on the property. This included painting, air conditioning, pavement, floors, etc. and the cost ($15,000) was completely covered by the Hispanic group with the funds that they have been saving for the last 5 years. 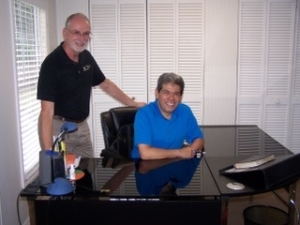 They created an office for Miguel and remodeled a room where they meet for Sunday School and on Wednesday nights for the Adult Bible study while the children are a part of the AWANA program in the American church. They also used these rooms to help prepare people for baptism and membership classes. 2) Miguel led a Mexican man to Christ and a few months later he was able to baptize him. This new convert hadn’t seen his family for six years since he was always working from very early to late in the evening. He didn’t have time for anything else. During some basic discipleship training, Miguel explained to the new believer about the purpose of a father being guided by God to be a spiritual leader to his family. A few months later he told Miguel, “Pastor, I am ready to return to Mexico to be with my family.” Now God has blessed him with a business and has allowed him to take the gospel to all of his family. He is going to a good church and has a small Bible study in his home each week and some of his neighbors are coming to know the Lord as well. What a joy to see ministry expand from one country to another! 3) Regarding immigration issues, the Quintanas have been encouraging their members to work on getting their documents in order. At the present time, 75% have their visas and some have become US citizens. 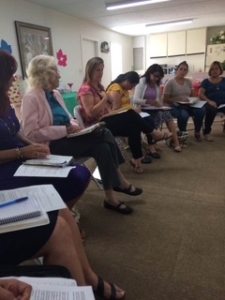 4) Twenty-two Hispanic women attended an event that Ana led and as a result, a Chilean woman and a Colombian lady professed to believe on Christ. They are now involved in Bible studies covering the importance of love and respect in marriage. 5) Miguel also serves as a volunteer prison chaplain. This past year he saw over 20 inmates of different nationalities come to know Christ. Each Tuesday, Miguel teaches in the prison and visits with the inmates. He has had many opportunities to distribute Bibles, Bible studies and devotional materials. 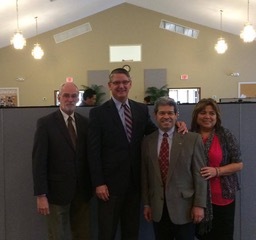 6) Recently, Bruce Burkholder (Director of Editorial Bautista Independiente) and Herb Taylor (Coordinator of Hispanic Ministries with Baptist Church Planters), ministered to their Hispanic ministry leadership. 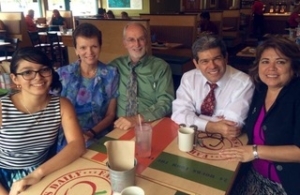 Together they evaluated their present ministry and determined steps for them to continue in their ministry efforts in Seminole. Would you pray for the following requests? 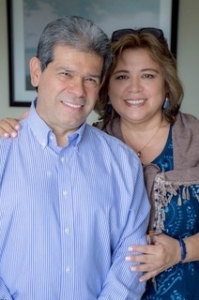 1) Miguel and Ana need to finish raising their support as they continue serving in church planting here in the U.S. They are presently lacking 30% of their needed support. 2) The Hispanic group desires to better organize their present ministry so they can become a self-sustaining church plant in the future.